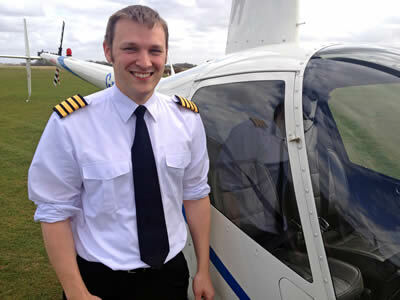 Helicentre Aviation Academy, has announced it will be awarding several helicopter pilot training scholarships in 2015. The company has so far awarded four scholarships to trainee helicopter pilots and will this summer will be awarding a further five scholarships totalling around £100,000 in value. By 2015 a total of fifteen training scholarships will have been awarded. Morgan Whiting, 2013 Helicentre scholarship winner.